Stress is a normal part of life, however, it can still derail your life or make it harder to complete normal tasks without feeling frustrated. Dr. Eliana Cohen Psychology is here to help you cope with stress as well as provide counseling services for numerous mental health issues. Dealing with stress on your own can lead to bigger problems. Contact Dr. Eliana Cohen Psychology to schedule an appointment with Dr. Cohen or any of her associates. Everyone should be equipped with some tips for dealing with stress. In today’s blog, we will give you some tips to help you cope with the stress of work, school, or even just daily life. If you’re still having trouble relieving your stress, contact Dr. Eliana Cohen Psychology today. These are just a few unhealthy ways that people choose to deal with their stress. Instead of dealing with the problem head-on, these coping strategies cover up the real reason behind your stress. When coping with a stressful situation, it’s best to do something that will affect you both mentally and physically. If you are feeling stress due to a large project, an assignment at work, or some other factor, it may be time to take a break. At times, stress can give you the extra boost of energy you may need to complete the task at hand, however, an extreme amount of stress could have the opposite effect. Give your mind and body the chance to take a break from the situation. Take a walk, grab a snack, or even take a nap if the situation allows. Once you come back from clearing your thoughts, you may find that the situation is less stressful than it originally seemed, and you may be able to get a better perspective on the problem. Exercise is not only beneficial to your health physically, but it is also beneficial to your health mentally. When you are feeling stressed about a situation, exercise can help you take your mind off the task and focus on something beneficial. Even if you just take a 20-minute walk, you are are giving your body an opportunity to do something productive with the built up energy. Talking to someone and talking about your stressors is more helpful than it sounds. You can talk to a family member, a friend, or even a professional. It is also proven that laughing and smiling helps to relieve stress. Instead of withdrawing from friends and family when you are stressed, try getting together with people and play a fun game or watch a funny movie. If you feel that talking to a professional will be the most beneficial solution for your situation, contact the experts at Dr. Eliana Cohen Psychology. Dr. Cohen or her associates offer counseling services where you can talk about the stress and understand the root of the problem. 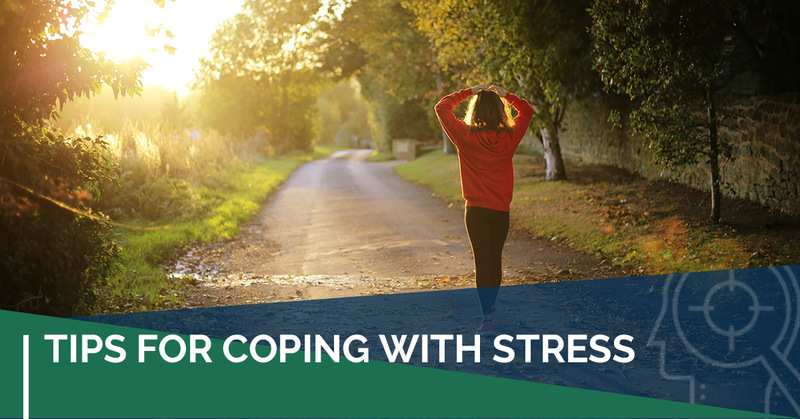 You may also learn some new tips for coping with your stress. Contact Dr. Eliana Cohen Psychology at 416-800-1326 to schedule your appointment today.